Over the years, I would be the kind of person who would have a pile of clothes on the sofa, DVD’s all over the table, a pantry that looks like pure chaos and much more! Of course, this all changed when I had a family, but I really wish that I had kept things more organized in my earlier years. It would have saved me a lot of stress, been better for my health and I probably would not have lost some of my prized possessions over the years! Organization is the key, but how do you get organized? Well, today I have a bunch of different organization ideas for you that will take you no time at all and as a result, make your life easier and your home cleaner. 2 Are You Going To Eat That? Let’s start simple. No one needs a pile of mail next to the front door, on the kitchen table or even on the sofa. Have a little tray that you can keep all of your mail in and get into the habit of putting it in there, or straight into the garbage if it is of no use to you. Think about going a step further and having each kind of mail in its own section, bills, and personal and so on. Have a good look in your fridge and get rid of anything that has been sitting there for an age and that you know you are never in a million years going to eat! Things like the pizza from three nights ago, condiments that no one actually likes and anything else that you will not use needs to go. An organized fridge is a clean and less funky smelling fridge! Believe it or not, it is actually possible to vacuum your whole house in 10 minutes. However, if you want to give the floors a really good clean, I recommend doing one room at a time. This way, if you are in a rush you know that if you focus on one room it will be done correctly, and you can get right under the furniture and into the corners. Using a cordless vacuum cleaner will make this task even quicker, as you don’t have to fiddle with plugs and wires. Some of the best cordless cleaners have a battery life of over 30 minutes. Up until a year or so ago, bedding was the one area that my organization skills failed. I kid you not, I had two bags full of covers and pillows in the bottom of a wardrobe. The way to organize your linen is to wash it all on the same day, take the time to fold it properly and ensure it has its own space. Linen if not stored properly can take up a lot of real estate. This one should be done on an annual basis. I know that the thought of sorting your wardrobe or the kid's wardrobe sounds brutal and the kind of thing you think will take ages. However, you can do this in well under ten minutes. It is simple. Do the clothes still fit? Do you still like them? Are they old and haggard? Answer those questions and they get rid of any that are not of any use to you anymore. There is no point in having a storage cupboard if inside it everything is piled up ten feet high and the only thing preventing it from falling is the door being closed. Use containers to keep things in a certain place, you will notice you have way more storage space and you do not risk death each time you open the cupboard. A label maker? I would have laughed if you suggested this to me in my 20’s, but a label maker is perfect for getting organized. You can use it to write what is in a container so that you always know where everything is, plus it is actually pretty fun to use a label maker. As you know pots and pans can take up a lot of space. Well, you nest them inside each other, you are freeing up all kinds of space and keeping your kitchen cupboards much more organized in the process. Ok, so this may take a little more than ten minutes, depending on how many you have. But no matter if it is movies, music or video games. Keeping them organized, especially if you have a large collection can be a nightmare. The way to do it is by alphabetizing them. You only need to do this once and then next time you go and grab King Kong from your movie collection, when you are finished, you know where to put it, instead of just sitting it on the very top where a pile will accumulate much quicker than you realize and then you have a stack of DVD’s in the way! Over the years, the kitchen always seems to develop that one drawer that contains everything from paper clips to the menus for the local pizza place. It is a nightmare to deal with and while you may think that dumping random things in here is giving them a place, it is creating a mess of stuff that you have to look through each time you want to find something you think “might” be in there. Plus it is a huge waste of a drawer! Instead keep things that are in here in their own little container, paper clips, menus, pens and so on can all have their own space. Plus, while you are organizing the drawer, you can throw out anything you will never use. If you are a member of a big family and there are lots of clutter, get a help from cleaning service company like Think Maids house cleaning service and they can solve your problem. I will admit that I am guilty of washing the dishes and leaving them to drip dry….. for about 8 hours! It makes a mess, takes up space and is just not necessary when you consider how quick and easy it is to wash, dry and put away. That should be the cycle each and every time, wash the dishes, dry the dishes and then put them away in their designated spot. It helps keep the kitchen organized and free of clutter. Laundry baskets are a godsend for keeping things organized. I am not talking about buying ten and just filling them up with random junk. You can go from room to room with a laundry basket, picking up clutter as you do and returning it to its rightful spot. Having a laundry basket makes it so much easier and efficient to do. You can go to any dollar store and buy a bunch of hooks that can be used to keep things like coats, shoes, toys and anything else you need to find a home for organized. What I find works great is to put the hooks on the back of cupboard and closet doors. 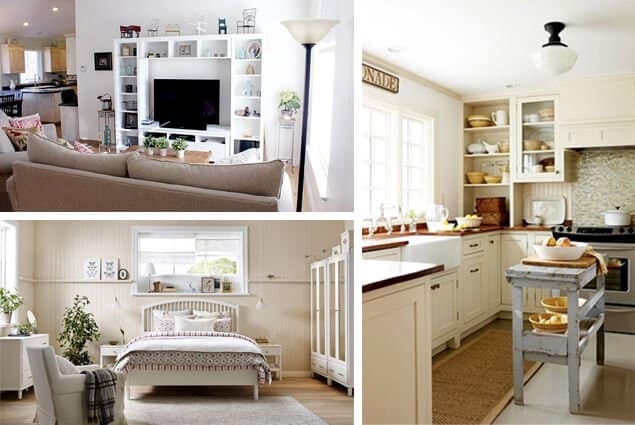 You can really maximize the space in your cupboards and closets this way. The point of today is to look at quick and easy organization tasks. The main point and tip that I want to share today are to take it one thing at a time. Be it organizing the kitchen drawer, sorting the kid's toy chest, going through your wardrobe or whatever. Just start with one thing and take it from there. That is the way you really get organized, not by being in the middle of ten jobs at once! Complete one and then move onto the next!